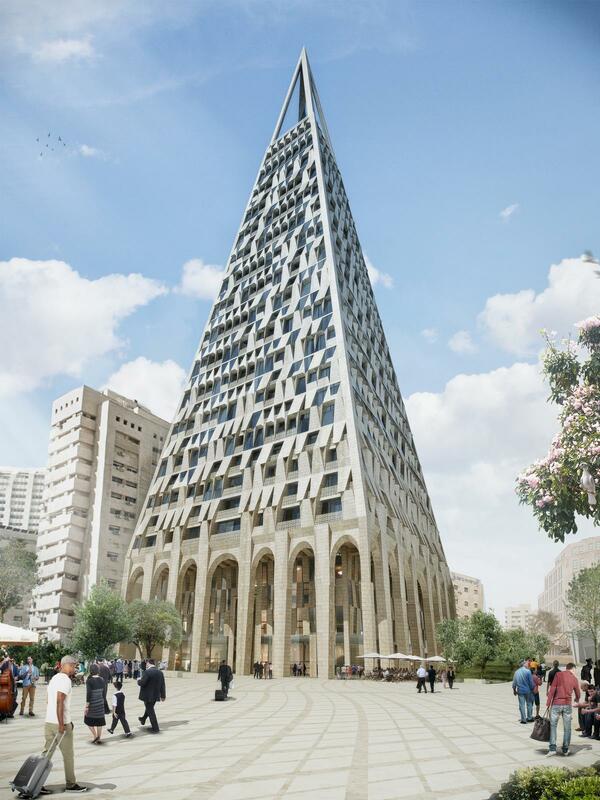 Daniel Libeskind creates iconic pyramid tower for the heart of Jerusalem Archi-new - Free Dwg file Blocks Cad autocad architecture. Archi-new 3D Dwg - Free Dwg file Blocks Cad autocad architecture. 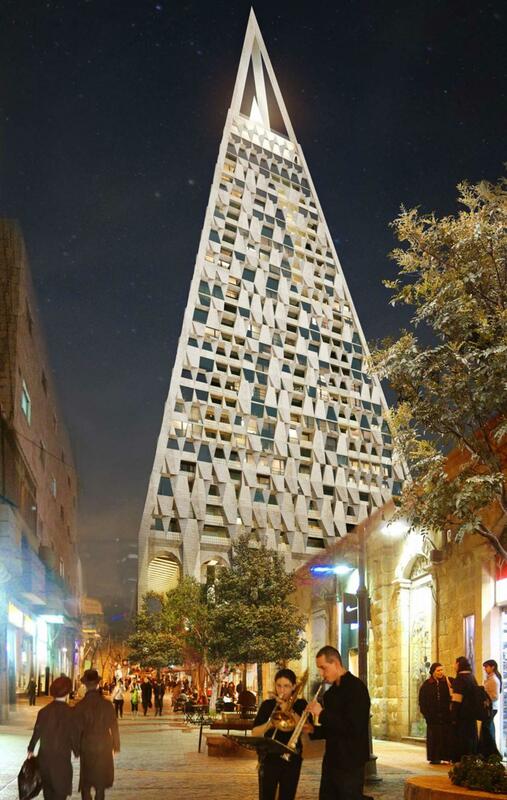 Studio Libeskind has revealed designs for a pyramid-shaped skyscraper in Jerusalem, after local authorities approved the development in the heart of the ancient city. Designed in collaboration with local architect Yogal Levi, the mixed-use tower will be one of the tallest towers in the Israeli city – at 105m (344.5ft) in height, just 16m (52ft) shorter than the city’s Holyland Tower 1 – with an observation deck slated for the building’s peak. In addition to the observatory offering sweeping views of Jerusalem and the surrounding area, The Pyramid will also include a boutique hotel, rooftop restaurant, commercial shopping and 200 luxury apartments. Located next to the Mahane Yehuda market, commonly known as “The Shuk”, the architect’s tapered design creates open space around the development, also allowing natural light to reach ground-level spaces. The Pyramid, which is set to break ground by 2019 in order to comply with building regulations, will also include a public plaza at ground level, with an arched colonnade connecting the plaza to a shopping arcade. The design reflects the site’s historical context by “providing a 21st century reinterpretation of that great pyramid form.” according to principal design architect, Daniel Libeskind.